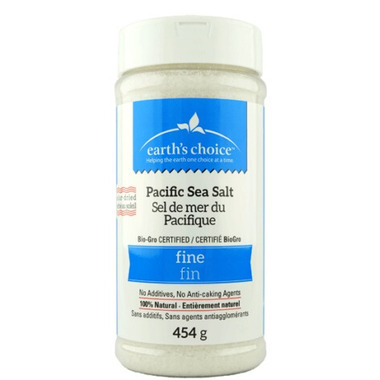 Earth’s Choice Pacific Sea Salt comes from the pristine waters of New Zealand's southern Pacific Ocean. It is Certified Organic by BioGro, New Zealand's largest & best know certifier of organic products. This sea salt is solar-dried, using less energy, making it a more sustainable choice. It is then harvested without the use of industrial equipment, to ensure a purer, gourmet quality sea salt that will enhance any recipe or meal. Sea Salt contains the perfect balance of naturally occurring iodine, minerals and trace elements which are essential for maintaining health & body wellness.